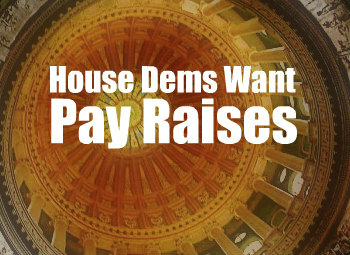 House Republicans vote for bill to deny pay increase for selves in FY16. The measure, HB 576, amends State law to block implementation of the automatic pay increases slated to be paid in FY16 to Illinois elected officials. This action is necessary to prevent an annual automatic pay increase from being paid to members of the General Assembly, statewide elected officials, certain Cabinet-level executive branch agency directors and appointees, and county state’s attorneys. Automatic pay increases of this type have been mandated by the Compensation Review Act since 1984. 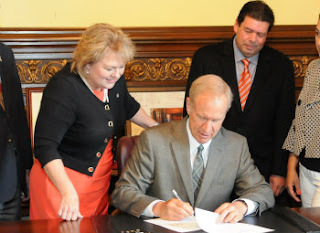 The Rauner administration and the largest state employees union have agreed to a two-month contract extension while negotiations continue on a new labor agreement. At the same time, Gov. 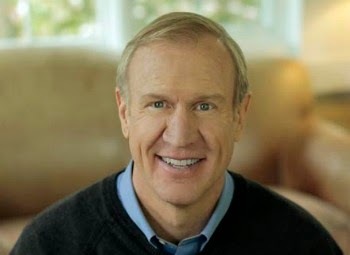 Bruce Rauner vetoed a bill that would prohibit either a strike or lockout and provide for an independent arbitrator to resolve the contract talks. The agreement was signed Wednesday between the administration and Council 31 of the American Federation of State, County and Municipal Employees, which represents about 38,000 state employees. The agreement says that “neither side will resort to strike, work stoppage, work slowdown or lockout between August 1, 2015, and September 30, 2015, or until impasse is reached, whichever comes later.” Read the entire story in the State Journal-Register. Budget stalemate continues in Springfield. 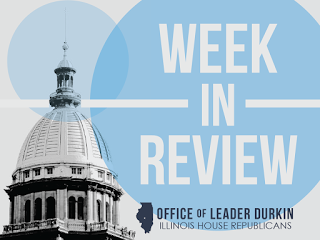 As the State of Illinois entered the fourth week of the new fiscal year without a balanced budget in place, the Democrat majority again refused to negotiate in good faith and instead continued their piece-meal approach to the budget crisis. While Illinois faces $5 billion in unpaid bills and struggles to find the resources to pay for vital services, Legislative Democrats are again thwarting attempts to reject an automatic legislative pay raise that was enacted July 1st of this year. On Tuesday, Illinois House Republicans, again, requested the immediate release from the House Rules Committee, a bill (HB 4225) that would prohibit 2% cost-of-living adjustments (COLAs) for State government legislative and executive elected officers and appointees for the FY2015 budget. In his request, Representative Ron Sandack (R-Downers Grove), implored the House Speaker to release the bill for a vote, calling it “unconscionable” that Democrats would allow themselves and others in state government to get pay raises, while the budget --- and money for vital services--- still lie in limbo. However, the House Republican’s request was deemed to be “out of order” and no action was taken. A 2% raise for members of the General Assembly will automatically go into effect unless legislation is passed to specifically to stop it. The Republican Caucus wants no less than an immediate release of HB 4225 from Rules to reject the pay raises and allocate those dollars where they can help our communities, and this was not their first request to advance the legislation. 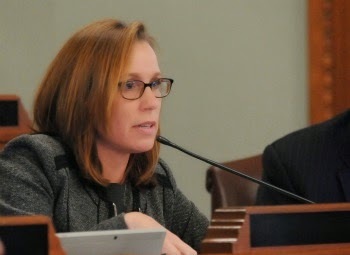 State Representative Barbara Wheeler (R-Crystal Lake) has filed a resolution to protect military personnel in the wake of last Thursday’s attack on the Recruitment Center and Navy Operational Support Center in Chattanooga, Tennessee. 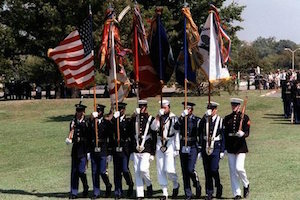 House Resolution 658, calls on the U.S. Congress to act swiftly to enact laws that allow military personnel to be armed for their protection in light of several terror attacks that have been carried out on U.S. military installations in recent years. Some changes to Illinois’ fledgling concealed-carry law that clarify some of its ambiguities took effect with Gov. Bruce Rauner’s signature. Senate Bill 836, which took effect earlier this month, addresses a number of issues raised by gun-rights groups, such as privacy, mental illness and dealings with law enforcement. It was the first set of changes made to the law since its approval in June 2013. 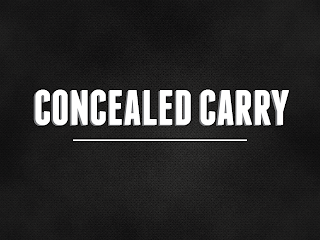 Illinois’ concealed-carry law, which took effect in 2014, is among the more stringent in the nation. 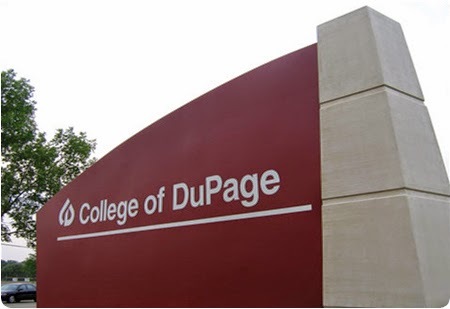 In-state applicants have to take a 16-hour course – or eight hours for honorably discharged veterans – and pay a $150 fee to the Illinois State Police. It forbids carrying in a number of locations, mandates increased mental health reporting requirements and allows local law enforcement to object to granting licenses to people they feel are a danger to themselves or others. 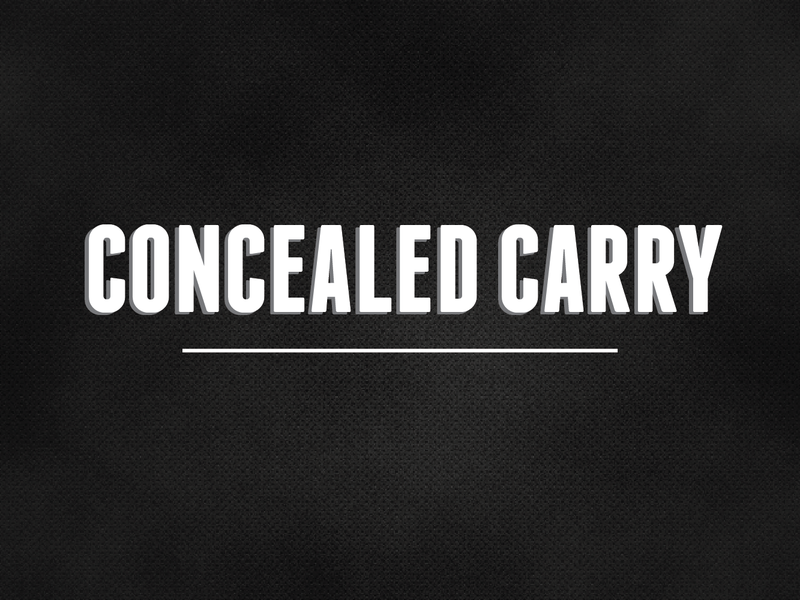 The most significant changes deal with the process of applying for a concealed-carry permit. The new law clarifies that the privacy waiver that applicants have to submit applies only to personal records, such as criminal and psychiatric history, that have direct bearing on the applicants’ qualification to carry a concealed handgun. It also provides a mechanism by which someone with a “mild” developmental disability who otherwise meets the legal requirements can appeal a denial. The Daily Chronicle has the story. Democrats send unbalanced partial-month budget to the Governor. As the State of Illinois entered the third week of the new fiscal year without a balanced budget in place, the Democrat majority continued to take a piece-meal approach to the budget crisis. On Wednesday, the Illinois Senate concurred with House changes to SB 2040, an unbalanced partial month budget set to expire on August 1. The Democrats’ plan passed the House by the bare minimum of 71 partisan Democrat votes in the House the previous week. 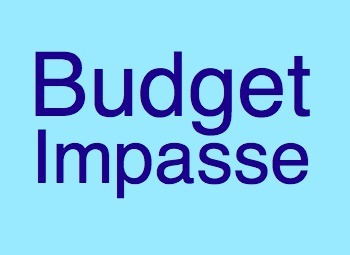 SB 2040 does not contain one-month spending levels based on the projected FY16 revenue estimate of $32 billion. 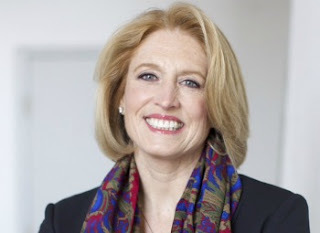 Forty emerging leaders from throughout Illinois have been selected as 2015 Edgar Fellows in the fourth year of an initiative to inspire bipartisan, inter-regional cooperation in addressing major challenges for the state in the years and decades ahead. Among the leaders selected are Representatives Tim Butler, Tom Demmer, Sheri Jesiel and Grant Wehrli from the House Republican Caucus. The Edgar Fellows Program is an initiative of the University of Illinois Institute of Government and Public Affairs. It focuses on developing leadership and governing capacity in Illinois. It emphasizes the need to forthrightly address major policy issues without permitting partisan, ethnic and regional rivalries to trump statesmanship. It is designed to influence attitudes and foster mutual understanding. It holds the promise of facilitating bipartisan and cross-regional cooperation as class participants assume more influential public leadership roles. Democrats continue push for unbalanced, unconstitutional budget. 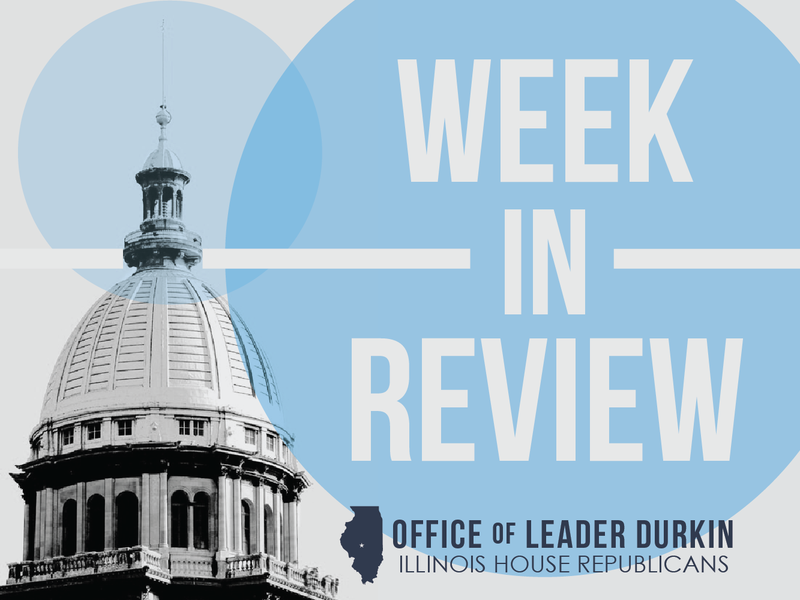 As the State of Illinois entered the second week of its fiscal year without a balanced budget in place, the Democrat majority continued to take a piece-meal approach to the budget crisis. Democrats again backed a temporary budget to fund certain services at a level that is not sustainable over the course of the entire fiscal year. SB 2040, passed by the bare minimum of 71 partisan Democrat votes in the House Thursday, does not contain one-month spending levels based on the projected FY16 revenue estimate of $32 billion. Beginning July 1st, U.S. military veterans are now able to receive updated driver's licenses with a veteran designation displayed on the front of the card. Details on the new licenses can be found here on the Illinois Secretary of State website. The legislation enabling this new feature was carried in the House by State Representative Mike Fortner and State Representative Mike Unes as well as a handful of other legislators in 2012. 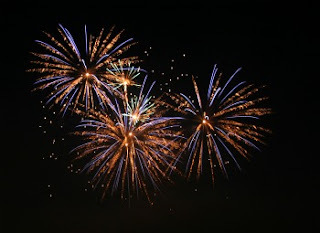 This weekend hundreds of millions of Americans will be celebrating America's independence which is Saturday, July 4. KFVS12 has the entire story.